The Arkenstone has always been a big supporter of mineral-collecting kids! Since founder Rob Lavinsky started collecting as a pre-teen, as did many of the other members of The Arkenstone staff, we find it exciting and rewarding to work with new collectors who are just starting to learn about minerals. Whether working with kids who are cracking mineral geodes open to explore what's within or taking young family members to explore some of the world's great mineral mines, The Arkenstone is always glad to help teach kids about fine minerals and crystals. 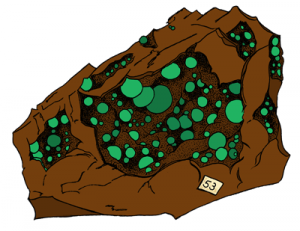 If you're looking for a great way to start learning on your own, check out some of these great mineral resources for young collectors! 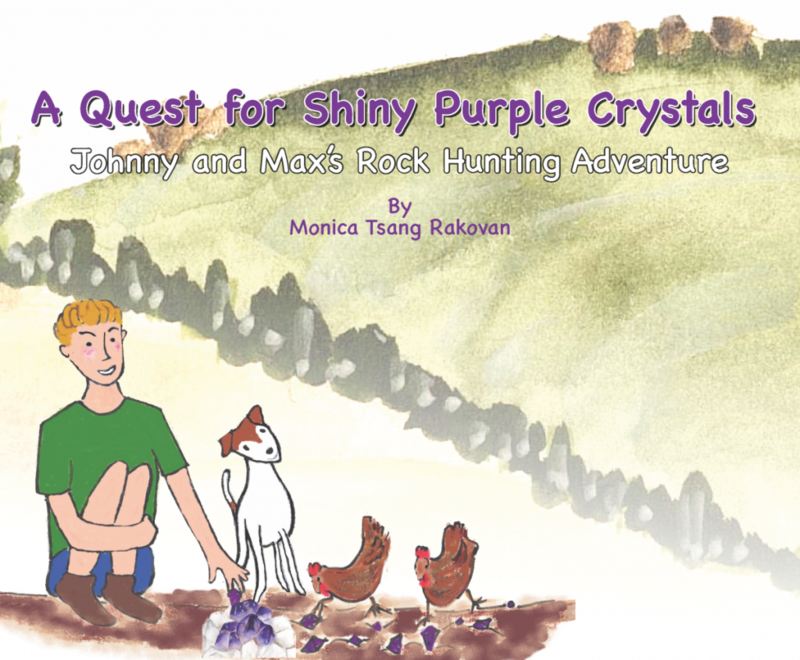 Kids can learn about fine minerals and crystals with A Quest for Shiny Purple Crystals! Explore with Johnny and Max as they make friends with Sal, the owner of the local rock shop, and have an exciting find of crystals nearby. If you want to learn about rocks, read the free book online or buy the book for $15 by emailing info@iRocks.com! 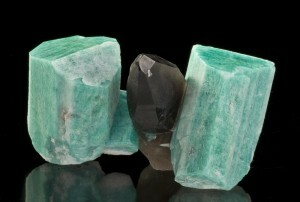 Follow friends as they search for aquamarine, tourmaline, diamonds, quartz, amazonite and more. This one-of-a-kind DVD series is enjoyable for all ages and provides an exciting introduction to the world of mineral collecting. The New Crystal Hunters shows the excitement and fun of field collecting. New Crystal Hunters: Arkansas, features another adventure as three kids visit the Crater of Diamonds State Park to search for mineral treasures in the world's only diamond-producing site open to the public. The kids meet up with Glenn Worthington, the famous diamond hunter, who serves as their personal mineral hunting guide. After visiting the Crater of Diamonds, our adventurers continue their mineral journey to meet with Ron Coleman at his quartz mine to search for Arkansas's famous quartz. New Crystal Hunters: Smoky Hawk, three kids travel through the mountains of Colorado looking for Amazonite and Smoky Quartz. Joe Dorris, owner of the Smoky Hawk Mine in Teller County, Colorado guides the kids through his mine until they hit the jackpot with some amazing specimens that wowed the crowd at the 2010 Tucson Gem & Mineral Show. 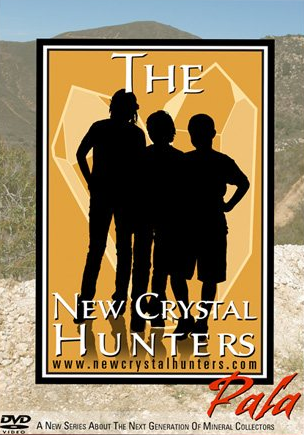 In New Crystal Hunters: The Sterling Mine, three kids head off to Ogdensburg, New Jersey to visit the Fluorescent Mineral Capital of the World - The Sterling Mine and Sterling Hill. Our three young adventurers head underground to marvel at the plain rock walls that turn brilliant day-glo colors once you hit them with ultraviolet light. There's no where in the world quite like this and your eyes will be amazed as you see the color change right in front of you. Diamond Dan has made it a mission to create fun and engaging activities and materials for young mineral collectors. In addition to his interactive combination coloring book/puzzle and Gold! An Activity Book for Young Prospectors, Diamond Dan posts additional artworks, postcards, placemats, and more. 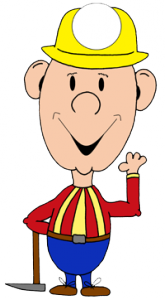 Enjoy the other fun kid-oriented activities by Diamond Dan at his site. Not just for kids, our friends over at MEC have great resources for learners of all ages to share information about the importance of mining and minerals. They have an outstanding section of resources for kids K-12 including coloring pages, posters, classroom activities, and more.